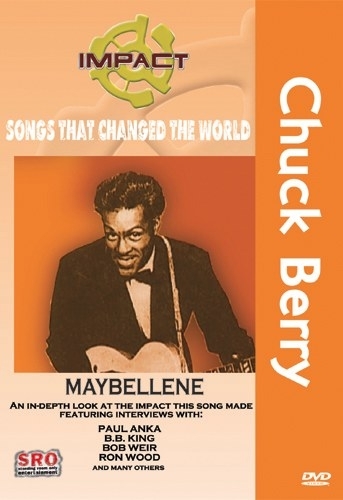 From the Impact Series, Songs That Changed The World - featuring Chuck Berry: Maybellene was recorded on May 21, 1955 and is referred to as the birth of rock 'n' roll history. 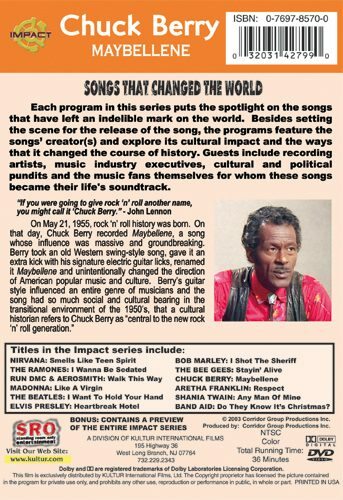 On that day, Chuck Berry recorded a song whose influence was massive and groundbreaking. Berry took an old Western swing-style song, gave it an extra kick with his signature electric guitar licks, renamed it Maybellene and unintentionally changed the direction of American popular music and culture. Berry’s guitar style influenced an entire genre of musicians and the song had such tremendous social and cultural bearing in the transitional environment of the 1950’s, that cultural historians refer to Chuck Berry as "central to the new rock 'n' roll generation."